The spacecraft also beamed back a sprawling mosaic of the Martian landscape. 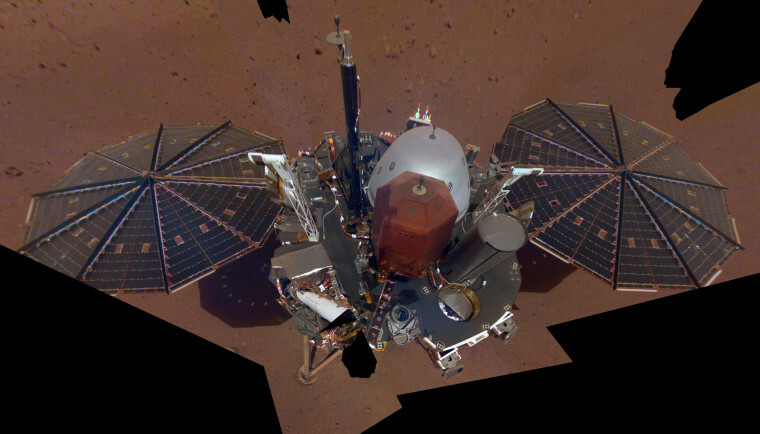 InSight also beamed back 52 photos of its immediate environment, which were used to create a mosaic of a 4x7-foot area of the surface directly beside the lander. The area is starkly barren but pockmarked in places. "The near-absence of rocks, hills and holes means it'll be extremely safe for our instruments," Bruce Banerdt, InSight’s principal investigator at NASA's Jet Propulsion Laboratory in Pasadena, California, said in a written statement. "This might seem like a pretty plain piece of ground if it weren't on Mars, but we're glad to see that."